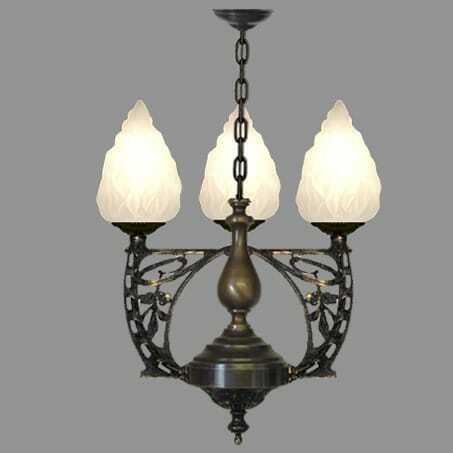 Art nouveau three light pendant. Manufactured by David John Lighting Company in the UK. Bespoke Lighting, Traditional Lighting, Decorative Lighting Contemporary Lighting, Antique Reproduction. Our range is only limited by David John's imagination which is limitless. We have over 40 years experience in the lighting industry and are only to pleased to share this with our customers. On this web site you will be able to view a selection of lighting manufactured by David John Lighting Company. Most items can be manufactured to suit your needs unlike most outlets where what you see is what you get.